Nov 8, 2012 /8 Comments/in Blogroll /by Patrick Wanis Ph.D.
Human Behavior & Relationship Expert Patrick Wanis PhD answers your questions about why women love bad boys – the psychological and scientific motivations behind what appears to be irrational, illogical and unhealthy behavior since it almost always results in failure, disappointment, heartache and even worse, abuse. Are there specific ‘bad’ traits women seek out in men? Women don’t consciously seek out bad men but they are subconsciously attracted to them; the definition of bad depends on the woman but it can equal unattainable, elusive, guarded, shy, rebel, non-committal, emotionally unavailable, lost, rude, dominant, abusive, or even the criminal; any man that can offer them that thrill. Think of the sweetheart Sandra Bullock with the rebel, tattooed bad boy, Jesse James. However, there are psychological and scientific motivations for attraction to bad boys. What is the science behind female attraction to bad boys? Change the type of man you are attracted to and attracting! “Get the man you WANT! ” now. Click on the image and Get the man you want and deserve! However, from experience with clients, I have found that there are women who are also attracted to bad boys, even when they are not ovulating. In other words, don’t confuse female physical attraction to bad boys during ovulation with constant female attraction and relationships with unhealthy men. 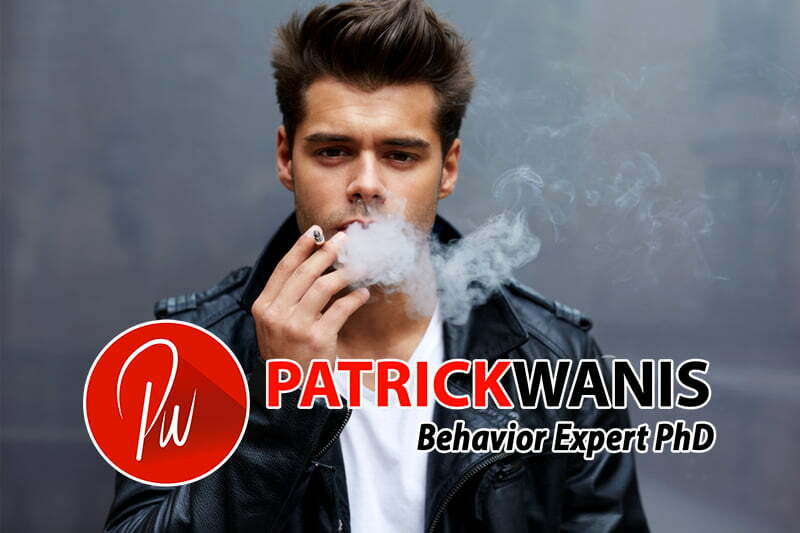 What are the basic psychological factors that drive a woman’s attraction to a bad boy? Why love bad boys who hurt you? Raise your self esteem and feel loveable and worthy to attract the man you really deserve. Click on the image and “Feel Good About Yourself” now! Is there a certain type of woman who is attracted to bad boys – or are all women attracted to bad boys? Generally all women are attracted to the bad boy because women have an instinct to nurture; they fall in love with a man’s potential and want him to grow, evolve and change. And that is one aspect that even the research surrounding attraction when ovulating cannot explain – why women fall in love with the potential of a man and waste time and effort trying to change him or, why some women constantly choose to be in relationships with bad, unemotionally unavailable or even abusive men; some women divorce one bad man and marry another bad, unhealthy man. Women who have deeper unresolved emotional and psychological issues are attracted to bad boys because they subconsciously believe they deserve to be treated badly or don’t feel lovable or good enough or because they have what I call the Twisted Definition of Love. Some woman like the thrill of the challenge and it creates the dopamine rush – the excitement involved in the anticipation and expectation of reward. Note, though, that there are 10 specific reasons why women are attracted to abusive men and stay in abusive relationships. Are men similarly attracted to bad women? No. Studies reveal men are first attracted to the woman that is smiling (thus accessible and available and finally, submissive!) But men, too, like to know that the woman is hard to get so that she has greater social value and status. In other words, they enjoy the chase but don’t enjoy being treated poorly which often results in cheating and affairs. I am not saying that justifies their behavior, but many men turn elsewhere to get what they aren’t getting in the relationship – appreciation, gratitude and praise. Men have a fragile ego! Are these ‘bad boys’ specifically attracted to good women or do they just like all women? A bad boy, by definition, will accept any woman who creates the space for him to be a bad boy! It also depends on what type of bad boy we are referencing – the rebel will tire quickly of the woman who tries to tie him down and make him conform. Are women less attracted to ‘good guys’? Yes, because they appear to be boring and not a challenge. Remember, forbidden love offers the greatest appeal. In other words, the more obstacles and walls there are to overcome, the greater the thrill for the woman. However, as women become older (evolve, mature and experience the pain, suffering and disappointment of bad boy relationships) they begin to look for (i.e. appreciate) men who will meet their needs, and love, care and respect them as well as be good fathers. Is there a physiological reason women like bad men – testosterone levels, etc? Studies reveal that women are attracted first to the confident and courageous man – and yes, that relates to testosterone and masculinity – assertiveness, confidence, energy, incisiveness, determination, strength of mind and body, stamina – women feel safer and securer around a confident courageous man but that also relates to the archetype of the hunter/provider. Much of the behavior driven by testosterone (aggression, competition, ambition) can also be perceived by woman as more attractive because she believes he will be a better protector and offer healthier offspring. A woman’s attraction to a physically fit man is based on the instinctual attraction to a man that appears to be healthy and can therefore provide healthy offspring. The same applies to men who are instinctually attracted to young, healthy, fertile women who appear to offer the potential for healthy offspring. Is there a certain point in life when women stop being attracted to bad boys and look for a good husband/father character? Women eventually mature to realize or at least accept that they can’t change him and thus they fall in love with the man for who he is and appreciate the man who treats them well. By the time a woman gets to her thirties she has had sufficiently negative experiences to realize that it is better to be happy than waste energy on trying to change a man; a woman who understands what makes a good husband and good father will usually seek him out versus being with a man who gives her thrills and a challenge but who would never be a good partner and father to her children. Of course, the woman who continues to be attracted to a bad boy (immature man) in her thirties and beyond is usually driven more by unresolved psychological issues (insecurities, abusive childhood, etc) than by any biological motivation or need. Shout out to you, Dr. Wanis! Article was on point and well-written!